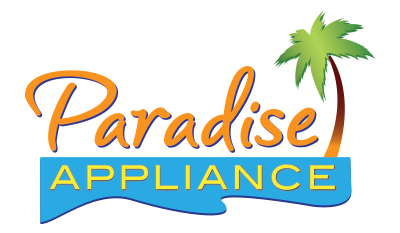 Best appliance service we have ever had. From beginning to end the service was outstanding. I got a phone call and an email confirming the service date and window. The window was only three hours so it made made planning easy. Then I got a phone call about 20 min out giving me a heads up the the technician was on his way. Technician was very professional and well informed. Problem was fixed and we are washing clothes again. Best appliance service we have ever had. OVEN IKEA IBS550DS00 cust needs outlet repaired. loose connection and burn mark around outlet.pulled unit out and it started to work. left house breaker to oven off. WASHER MAYTAG MHW5100DW "f3-e1,,,f8-e3.. replaced pressure sensor and tested for correct operation through test cycle. ; used 1 WPW10448876 (sensor switch) from stock"
REFRIGERATOR JENN-AIR JFX2897DRM02 "ther is no drips at all, per male another company already replaced the water valve." WASHER MAYTAG MVWB835DW3 "found Customers water valve on the wall is leaking (hot side). Unit has a defective water valve which did not let cold water come in to the unit, causing F8E3 error. replaced water valve and tested unit, unit functions properly. advised Customer to get water valve leak coming from wall fixed. ; used 1 W11165546 (WATER VALVE) from stock"
WASHER WHIRLPOOL WET4024EW0 "replaced bad motor and capacitor. ran test cycle on unit, and unit functions properly." REFRIGERATOR KITCHENAID KRFF302EWH01 "KIBO200EPL1, replaced all those parts now lid stay in place." WASHER WHIRLPOOL WET4024EW0 "found power to washer motor but does not run, needs parts. ; ordrng 1 WP661600 (drive motor) and 1 3952499 (timer) and 1 8572717 (capacitor,motor)"
WASHER MAYTAG MVWC400XW3 "removed soap debris from inside door lock causing door lock error, checked locking, ran test working ok."
OVEN WHIRLPOOL WOD51EC7AS05 "found oven temperature up 30 degree , just going to calibrated unit 30 degree down on upper oven only ., still under factory warranty." DRYER MAYTAG MGDB835DW3 check for correct air flow and temperatures. advise customer on different cycles and options. REFRIGERATOR JENN-AIR JFX2897DRM02 "replaced right ladder swap the shelves, but shelve still is higher the right shelve on the top only per jenn-air he'll check with disigner and will get back to customer on tuesday 11/20/18, per tech support to close the order as complete"
REFRIGERATOR WHIRLPOOL WRF560SEYM05 "Frost in freezer and making noise, removed frost from around evaporator fan and adjusted door gasket, tested, door closing fine now...."
WASHER MAYTAG MVWC400XW3 "made adjustment to drain hose, stain pipe with hole, ran test no leaks. Advised cust working ok."
DRYER-GAS MAYTAG MCG8000AWQ belt coming off due to motor pulley..adjust/installed and tested for correct operation. WASHER MAYTAG MHW8200FC0 "replaced faulty burned out stator, main cntrl & motor cntrl, ran test working ok."